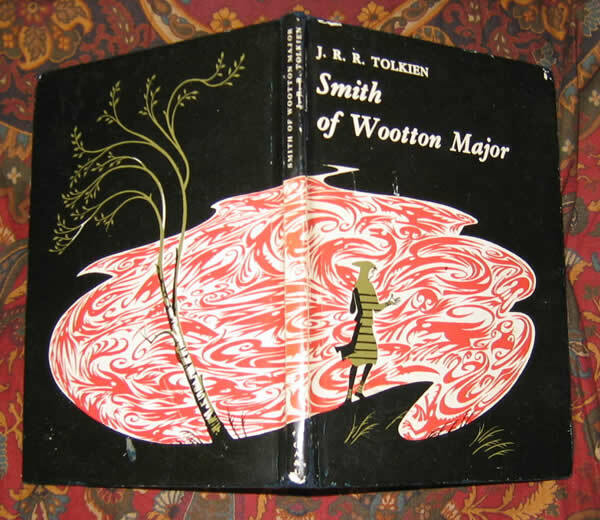 The 1st Edition, 1st impression of the UK Edition, Published by Allen & Unwin in 1967, signed by the Illustrator, Pauline Baynes to the title page. No other markings or writing. 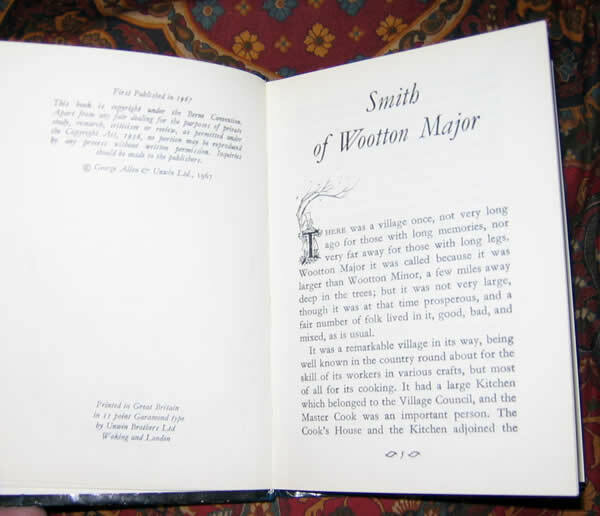 Smith of Wootton Major by J.R.R. Tolkien. The 1st Edition, 1st impression of the UK Edition. Published by Allen & Unwin in 1967. This copy is in Very Good condition, with a couple of white spots showing on the front cover, where the black background has been rubbed off. 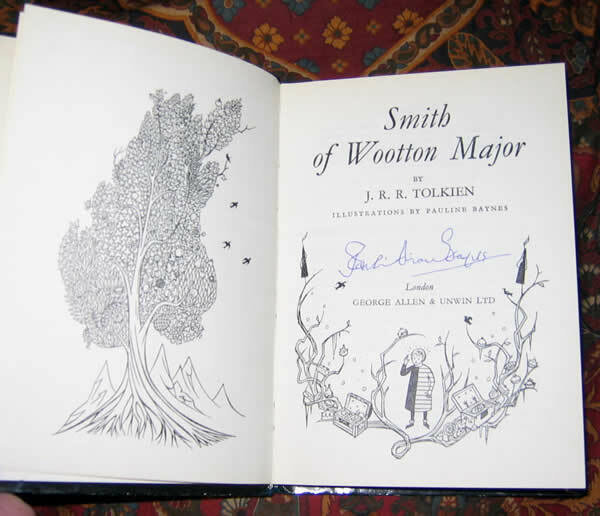 Otherwise a very neat & clean copy, signed by the Illustrator, Pauline Baynes to the title page. No other markings or writing.